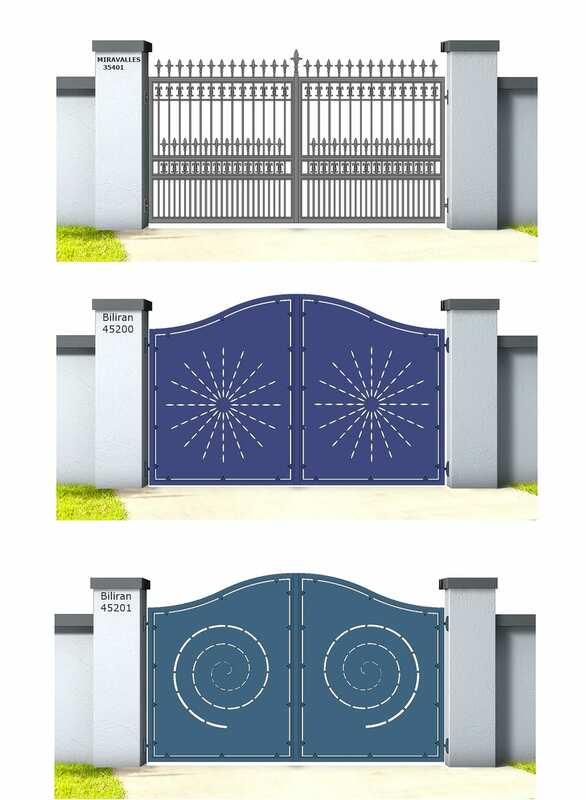 Your property gates should always give you the flawless design you dream of. Regardless of how large or small your gates are, our aluminium gate designs can always meet your needs. L T Garage Doors Ltd have a huge selection of aluminium gate designs available for every property. we manufacture all gates ourselves, tailored to every individual style and budget. Why Choose Aluminium Gate Designs? Aluminium gates will always provide the durability you desire, staying in great condition and maintaining the fantastic style and appearance that it was installed with. 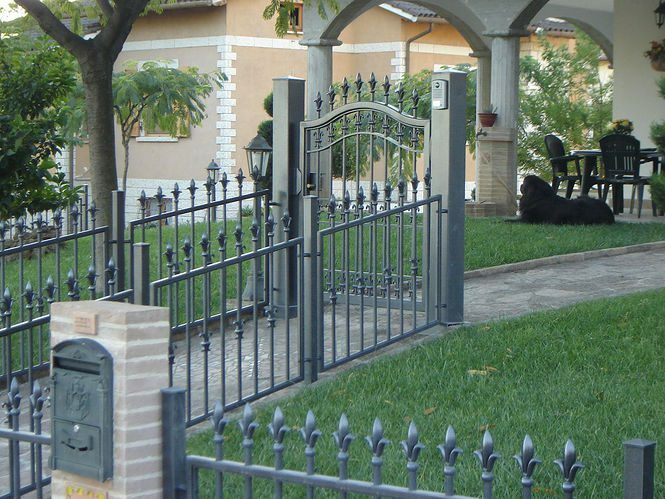 With accessories also available, it is the perfect solution to any gate problems. Classic round line is one of the most popular aluminium gate designs, being ideal for large properties with a high wall. classic round line gates can be installed in wide spaces as well as a single gate for smaller spaces, giving you complete customisation to personalise it to your property. Our classic round line gate designs can completely block the view into your property for privacy, as well as having other designs available with a partial view through the gate. For gates with no view into your property, we can create bespoke designs on the gate depending on the style you would like to achieve. Sliding suspended gates give you the option of being both manually and automatically operated whilst offering a safe opening and also accessible for your vehicle. Again, there are many designs to choose from, as the gate leaf can be filled with painted faux wood. You will always have the final choice on colour schemes, with RAL colours and rough colours available. Our coating of paint will always give sliding suspended aluminium gate designs a smooth finish. Another benefit of this design is the silent gate operating it provides. For a perfect opening and closing, sliding suspended gates are a fantastic option and gives your property the silence and class you desire. Cantilever is another smooth design with an effortless opening and closing action. As a self-supporting construction, sliding gates offer a stunning design. They can be installed easily at every home, a few centimetres above the ground so nothing is blocked. Cantilever, being made out of aluminium, also offers great resistance and durability, with no rust and no maintenance ever required, so you can have peace of mind over the style and design of your property exterior. Modern Slats are one of the many accessories that can be installed on our aluminium gates to create a fantastic appearance for your property. Additionally, our slat thicknesses range from 20mm to 60mm. Also being internally fixed with aluminium gate designs, very little maintenance will be required. Modern slats can be added to any current aluminium gate designs or installed with your new gate. We can always discuss the styles we have available and the colour scheme to match your current exterior and gate. If you would like to discuss our aluminium gate designs, contact L T Garage Doors Ltd today. We manufacture all gates bespoke to your requirements, with installation in Cheshire, Staffordshire, Stoke and Macclesfield. View our full list of aluminium gates, call us on 01782 533 552 or fill in our contact form today. Are Electric Gates Ideal For You?